I must start with a confession. I am an e-book addict. You all know that. I’ve made no secret of how I love being able to put hundreds, thousands of books on my kindle or iPod touch and carry them with me. I love the convenience of being able to use my kindle to shop directly if I suddenly feel the need to have a new book and I just can’t wait on it any longer. Besides, why would I work for a digital press if I didn’t believe in e-books, right? So what, you ask, do I have to confess? Well, I fell in love the other day. No, not that sort of love, although I did want to sleep with the new object of my affections. (Quit laughing, Sarah) Ah, I can see the looks of puzzlement in some of your faces and I see Kate covertly trying to find the number for the men in the white jackets. No, I haven’t lost my mind. But I have discovered something many others before me already knew. 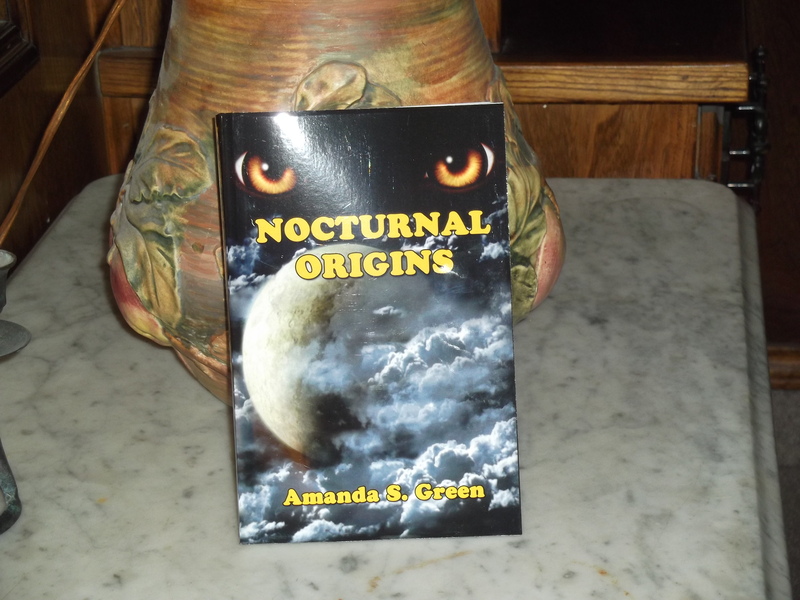 Thursday I received the bound proof of Nocturnal Origins. It was like Christmas morning all over again. My hands shook as I ripped into the box. 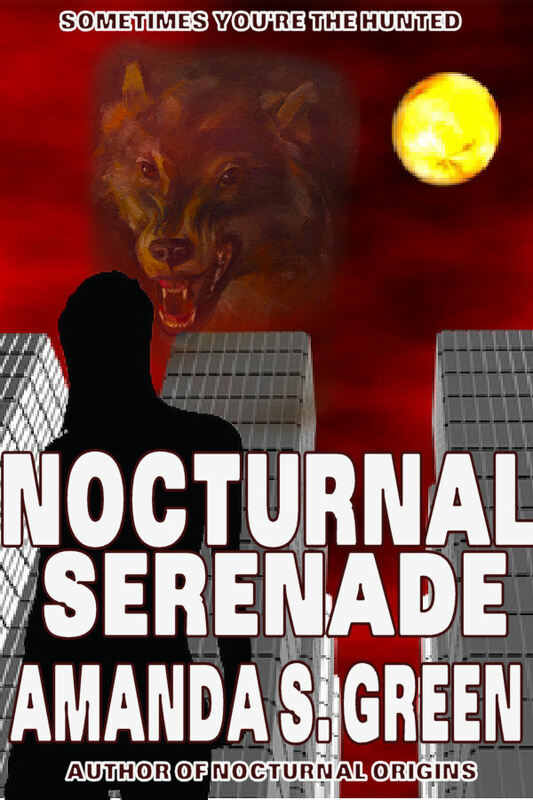 My breath caught as I carefully lifted the book from inside and turned it over. There, finally, one dream come true. I actually held a book with my name as author. And it was soooooooo cool. 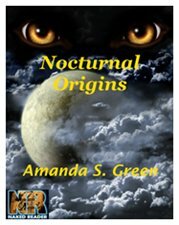 That isn’t to say I was more proud of the hard copy version of Origins than I have been of the e-book, because I’m not. But there is something about holding a book in your hands and seeing the physical manifestation of all your hard work. Does this mean I’m not as big of an advocate of e-books as I was before Thursday? Absolutely not. But that feeling reminded me of something — there really is something special about “real” books. For those folks who are tactile, physical books will almost always be more enjoyable than e-books. What we are going to see over the next few years is a balancing out of the industry — I hope. E-books will gain more respectability while physical books will be ratcheted back some. I think we’ll see more of the POD hubs cropping up in bookstores and other outlets so stores don’t have to keep a lot of stock on hand. The customer simply orders the book while in the store, goes to have a cup of coffee or something, and comes back later to pick up his book. Technology like this may very well be one of the saviors of the print end of publishing. In the meantime, however, let me have a moment to just go, “SQUEEEEEEE!”. I promise to be back to normal — or as normal as I ever am — next weekend.